It was only a few years ago that playing online casino games with real money in New Jersey was very risky and best to be avoided in the first place. In this day and age, online casino and poker play is 100% legal in the garden state, as well as regulated so that you can rest easy knowing that your gameplay and deposited money is safe. One of these regulated and accepted deposit methods is PayPal! As the popularity of online casinos, iGaming and poker has gained traction so to has the need for easy and reliable payment methods. Luckily, Paypal stepped up to the plate and quickly became one of the most popular deposit methods for those who like to try their hand at online casino and poker play. Both convenient and secure, Paypal is a great way to deposit and withdraw your funds on your favorite online casino platform. Here is a look at New Jersey Online Casino Sites that use PayPal. Why Should You Consider New Jersey Online Casino Sites That Use PayPal? After you link a credit card or bank account to your PayPal account, withdrawals and deposits at your favorite online casino or poker site can be made to your account instantaneously. PayPal utilizes security and encryption technology, the same technology that is used at all other financial institution. You can rest assured that any money you transfer through and in PayPal is safe. PayPal is a trusted brand that got its start in 1998. Today, it has over 200 million users all over the world. PayPal doesn't require that you give any of your personal details away to the site you are depositing or withdrawing money from. Although reputable New Jersey online casinos will not misuse your financial details. You can rest easy knowing there is another layer of protection given by PayPal. Creating a PayPal account is very simple. All that is required is for you to have an email address to get started. Once you've created your PayPal account, you'll be given several options for connecting it to the bank account or credit card of your choice. Head to the PayPal website and click “Sign Up”. Choose between a “Business Account” or “Personal Account”. Make sure to look out for the specific conditions of the site when it comes to online casino and poker websites that accept PayPal. For example, some online casinos may have specific requirements for online withdrawals using PayPal. When using PayPal, a great aspect is that it usually is much quicker to receive your funds compared to other alternatives. In general, most NJ online casinos require that you make a minimum deposit of $10 to $25. However, there are some exceptions to this rule. Some casinos may charge a deposit fee when you use PayPal. For instance, Betfair adds a 1.5 percent fee when you use PayPal. To fund a PayPal account, simply add your bank account information to your profile by selecting the “Link a Bank or Card” option. Once you've added a bank account, you can proceed to transfer funds from it to your new PayPal account. This takes between 3-4 business days. However to expedite the process, you can add your credit card information along with your bank account, as PayPal can then take funds out of your bank account right away without a fee. Although you can fund your PayPal account using credit cards, New Jersey online casinos will not allow you to deposit money on their sites with this method. Once your PayPal account has been funded you are now ready to go to make your first deposit on your chosen New Jersey online casino to start your game play. PayPal users can withdraw their funds with a bank transfer, check by mail or PayPal debit card. On PayPal's end, it is free to use the bank transfer option. However, other methods come with a small fee. These various options are all available to use on applicable New Jersey online casino and poker websites. The good news with PayPal is that withdrawing your funds into a PayPal account is a breeze. Just look for the PayPal logo on the New Jersey online casino website's cashier and click through the correct prompts. Be aware that most NJ online casinos let you cash out with PayPal only up to the amount that you first deposited. For example, if you deposit $400 and win $200 then you will only be able to withdraw the $400 you first deposited and then would need to use another banking option to take out the remaining $200. WSOP.com was the first US online casino to introduce PayPal as a deposit method back in 2015. However, before that PayPal had a rocky start in the online gambling industry. By cutting deals to handle deposits of offshore casinos with grey-area legality, they were handed a $10 million penalty by the United States government and were forced to drop all of their online gambling clients, which accounted for 6 percent of their revenue at the time. It wasn't until 2010 that PayPal entered back into the online gaming world by signing contracts to begin processing transactions for LEGAL iGaming sites that were fully licensed and regulated in Europe. 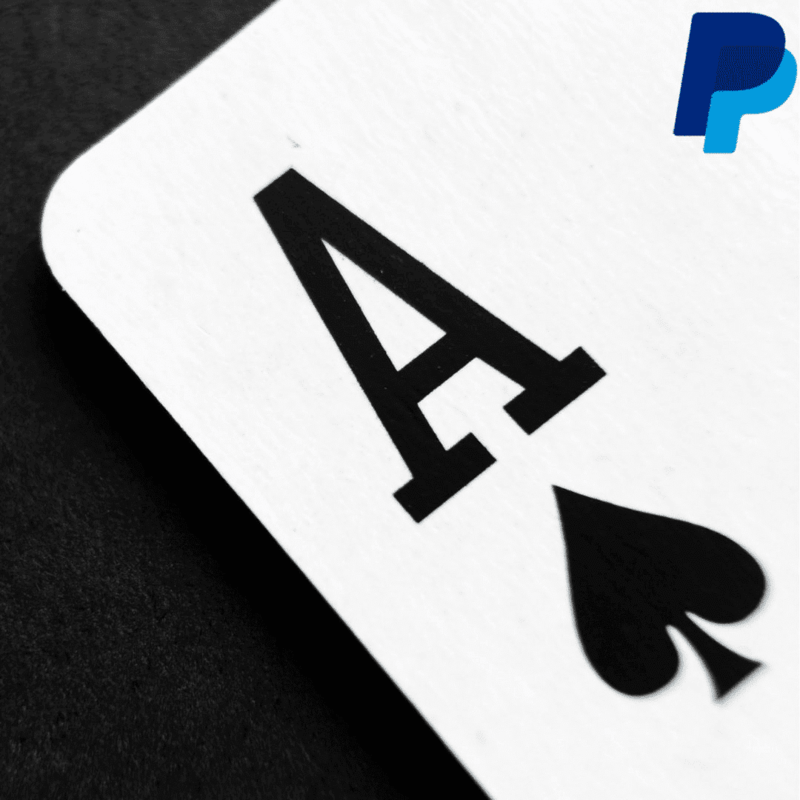 In 2015, PayPal finally returned to the US online gambling world by making PayPal transactions available to WSOP.com patrons, as well as a few other online casino sites that were licensed in New Jersey. PayPal allows you to fund your account in several different ways, including MasterCard, American Express and a checking account. PayPal is a highly trusted and regulated payment method and so gives New Jersey iGamers an additional level of security when playing on their favorite site. Gives legal New Jersey online casino and poker sites the upper hand over their illegal competition. The use of PayPal on many regulated online casino and poker rooms in New Jersey lends to its credibility and is a step forward for legalized gambling within the whole of the United States. There are many advantages to the introduction of PayPal to iGaming sites within New Jersey and is a great option for your own gameplay.